APT’s relationship with customers is a collaboration, from initial design to the finished product. We have acquired a vast knowledge of all aspects of the production process and are able to work closely with our clients to refine their products. All members of our team are highly qualified, motivated and experienced professionals and we are on hand during every stage of production. A new project always begins with understanding the customer’s needs. Looking at specific requirements, we are able to make recommendations and fine tune the design and manufacture of components. APT helps develop completely new products from their early concept, as well as making improvements to existing parts. 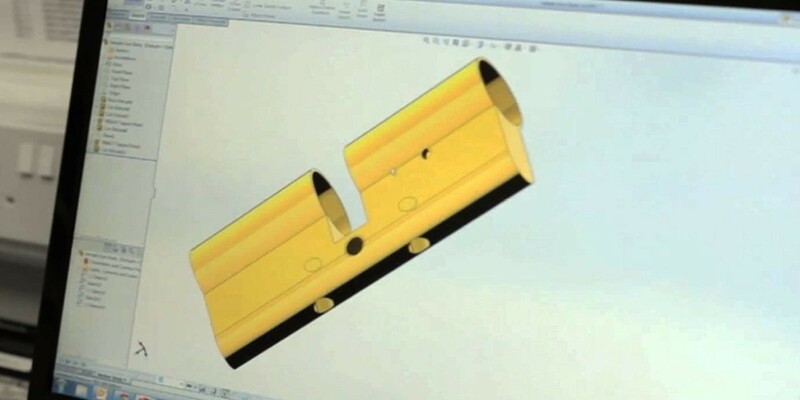 With our experience in CAD modelling, CNC milling and turning, we can recommend the best design, raw materials and machining process for our clients’ components. We use the latest SolidWorks CAD package to create detailed 3D technical models. From these high specifications, one of our dedicated engineers is responsible for the production of the part until it leaves the factory. Our extensive experience combined with the latest technology gives our clients a comprehensive service. APT has an excellent reputation for quality. We have invested in fully traceable, integrated manufacturing software, measuring and inspection equipment to maintain our high standards.